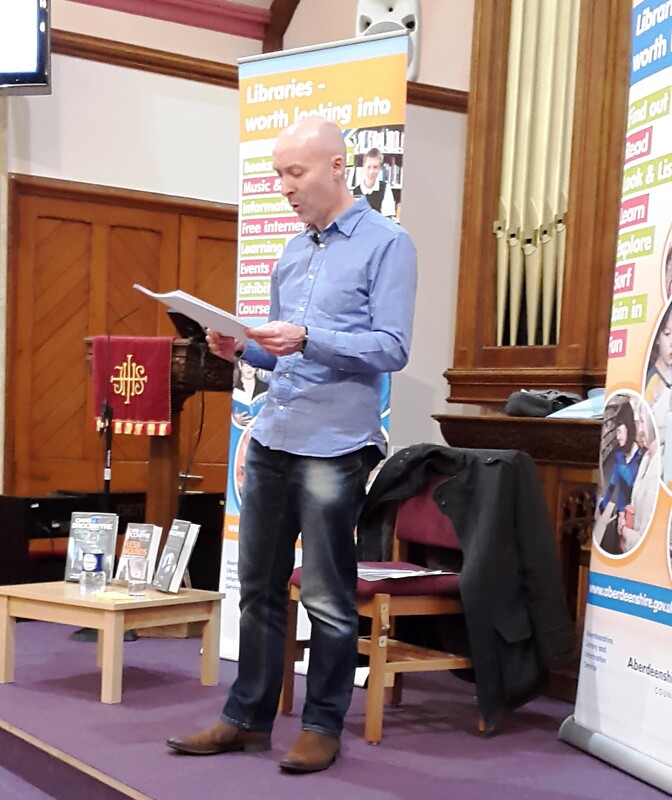 Delighted to report that our evening with Chris Brookmyre was a resounding success. About 120 people turned out to hear an extremely humorous and entertaining talk from one of Scotland’s greatest contemporary authors. He’s a master at telling the story, holding an audience’s attention and making them laugh. After a reading from his new Jack Parlabane novel and a question and answer session,he concluded by reading in it’s entirety, the most fantastic and amusing short story ever. It has to be heard to appreciate the combination of teenage slang and Shakespearean language, with great voice-overs from Chris adding to our enjoyment. So pleased that he managed to fit us in to his schedule and many thanks to a great audience.